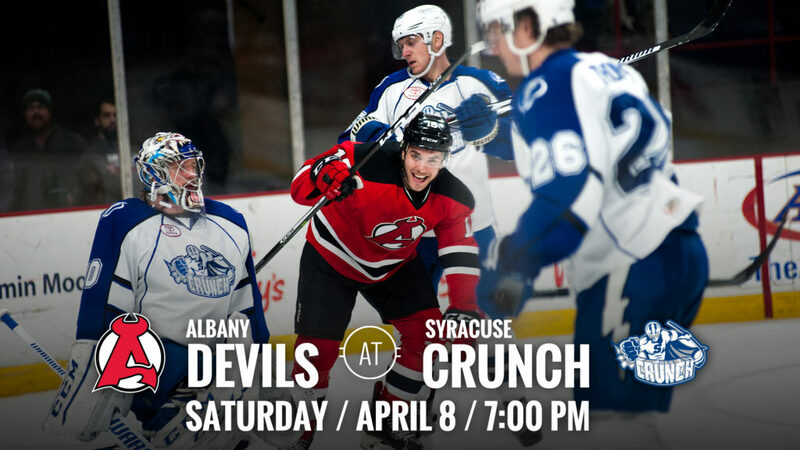 SYRACUSE, NY – The Albany Devils travel to face off against the Syracuse Crunch Saturday at the Onondaga Country War Memorial at Oncenter for a 7 pm puck drop. 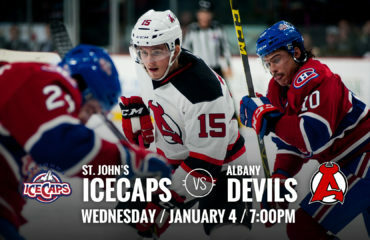 The Devils are coming off a 4-3 victory Friday against the St. John’s IceCaps and hold a 37-30-2-3 record. 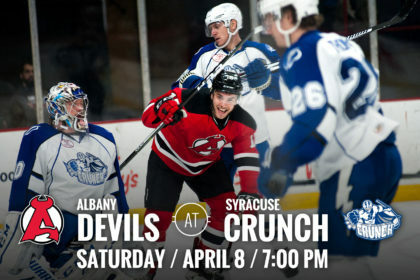 The Crunch are coming off a 4-3 overtime loss to the Binghamton Senators Friday. 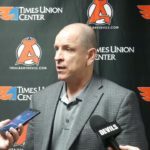 They hold a 34-24-7-7 record. 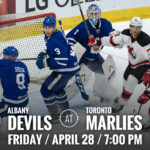 Lappin Makes it Happen: Nick Lappin netted two goal’s during the Devils 4-3 win over the IceCaps Friday including the game-winning goal with one minute left in regulation. 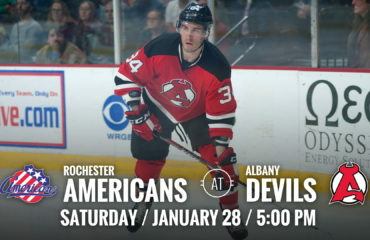 The two goals helped him earn five points in two games and gives him 26 points (13g-13a) in 31 games played with Albany this season. 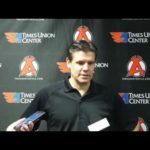 First Goal: Shane Harper netted his first goal in Friday’s victory since being traded to Albany from Springfield on March 1. 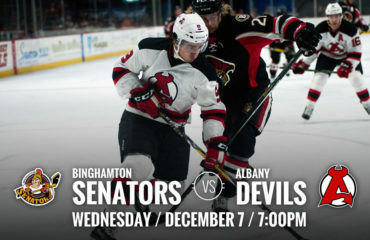 He earned his first point with the team on March 31 on an assist from a Yohann Auvitu shorthanded goal. 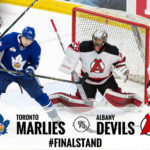 Playoff Watch: With Friday’s win, the Devils sit in third in the North Division with 79 points, just three points behind second place Syracuse and six points behind first place Toronto. 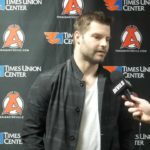 The Utica Comets sit in fourth with 77 points and St. John’s sits just outside a playoff position with 76 points.